It never will, of course. A show with that much blood and rude bits will never get LEGO's stamp of commercial approval. But oh, with these custom-made pieces, we can dream. Builder Albert "miniBIGS" Hernadi is selling these Game of Thrones minifigs on his Etsy page, with five characters from the show's first season/first book available. 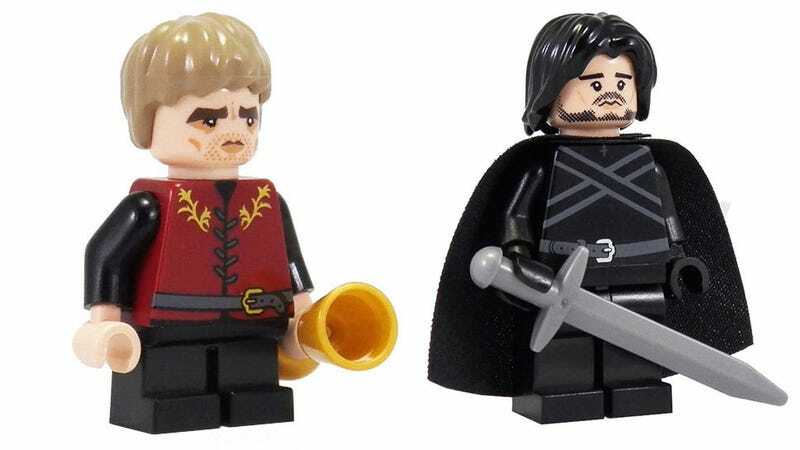 Arya and Ned Stark are passable, Daenerys is pretty good, but Tyrion (whose figure is shorter) and Jon Snow are just perfect, right down to their facial expressions. In a neat touch, each even comes in their own special bag, complete with "A Throne of Bricks" logo. Oh yeah, and there's the added benefit of these being LEGO figures, so the heads come off on their own, no special action required.